Sleep was once believed to be a passive state, (1) a shutting down of physical and mental functions that allowed the body to recover from the day’s activities. All of that changed in the 1950’s with the discovery of REM sleep. What was thought to be a form of unconsciousness was found to be an active and complex process crucial to forming memories, regulating metabolism, and removing toxins from the brain. Recent advances in sleep science have revealed just how important a good night’s rest is for health. Sleep is critical not just to feeling energetic and restored, but to nearly every essential function in the body. The organized and structured process of normal sleep is known as sleep architecture. 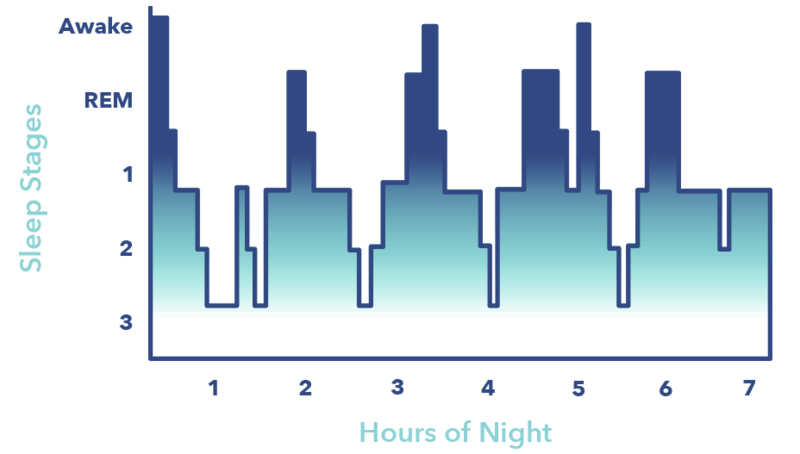 (2) Typical sleep architecture consists of four cycles, each lasting an average of 90 minutes. A 90-minute cycle consists of three stages of non-rapid eye movement sleep, known as NREM sleep, and one of rapid eye movement sleep, known as REM. The full process of all four cycles takes approximately 7 to 8 hours to complete. Sleep was previously divided into five stages, which became four when two similar NREM cycles were combined. 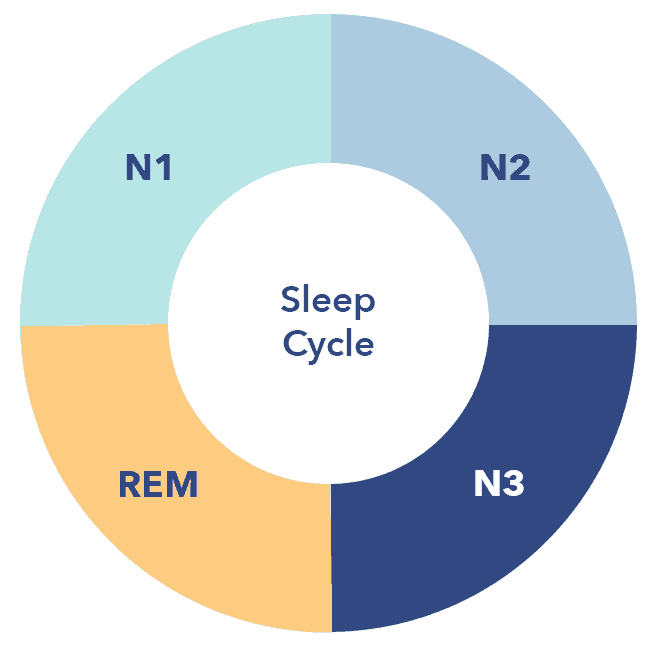 The four stages were recently renamed N1, N2, N3, and REM, to clarify the specific type of sleep that occurs at each stage during a cycle. 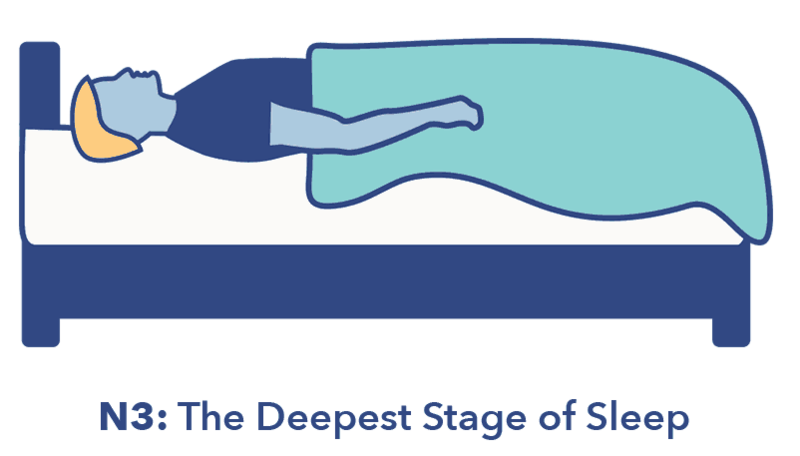 Every stage of sleep fulfills a distinct physiological and psychological function, and occurs in a predictable sequence. These sequences must be complete and proceed in order for optimal functioning of the brain and body. In REM sleep, the eyes move rapidly, the muscles are mostly or completely paralyzed, and dreaming is vivid. Brain waves during REM sleep are similar to brain waves that occur during wakefulness. In fact, REM sleep is the stage of sleep that most closely resembles being awake. 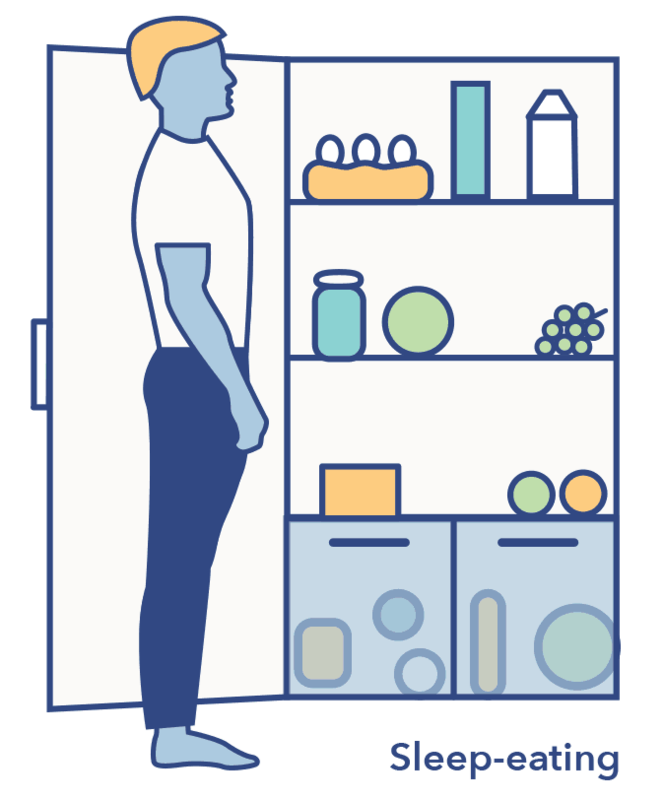 The N1 stage usually begins within minutes after lying down to sleep, but may take more or less time depending on sleep habits, the presence of sleep disturbances or disorders, and the physiology of each individual. N1 is a dynamic state that typically lasts between one and seven minutes. As the name suggests, NREM sleep involves little to none of the eye movement associated with the vivid dream states that occur during REM sleep. Some awareness of the environment remains in this early phase, though many people begin to lose their usual sense of time and place as they transition into sleep. During N1 sleep, small shifts back and forth between alpha and theta brain waves may give the sleeper the sense that they are still awake. Sleepers may be roused quite easily from this stage of sleep, and might not realize they’re no longer fully alert. Hypnic jerks, or sleep starts, are common during this transition phase. Hypnic jerks are sudden contractions of muscles that may interrupt sleep. These movements are sometimes accompanied by a sense of falling or tripping, and are considered normal. They may be worsened by caffeine, stress, or certain medications. (5) Some researchers theorize that hypnic jerks are a protective mechanism left over from our early history when we slept in trees, to help prevent us from falling during sleep. Sleep talking may occur during both the N1 and N2 stages of sleep, as may brief episodes of awakening and falling back to sleep. 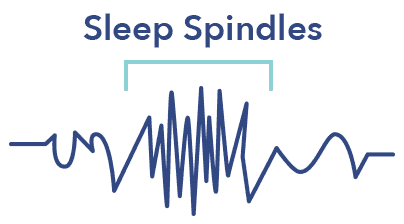 An increased number of sleep spindles may be associated with higher intelligence, increasing the need to process large volumes of recently acquired information. (10) One of the primary functions of sleep spindles appears to be the transference of information from short-term to long-term memory. K complexes are another type of brain wave activity seen during N2 sleep. (11) K complexes are reactive to internal and external stimuli, assist in information processing, and help to synchronize the phases of NREM sleep as a whole. K complex waves are thought to protect sleep by preventing waking to normal stimuli that does not present a danger. An unusual amount of time spent in the N2 phase may result from altered sleep patterns due to medication side effects or the aging process. Fragmented N2 may indicate a sleep disorder such as sleep apnea, restless leg syndrome, or chronic insomnia. N3 sleep is referred to as slow wave sleep due to the synchronized brain waves visible on an EEG. Some studies show that people who co-sleep may share some of this synchronization, as well as other sleep patterns. (12) N3 usually begins approximately forty minutes after first falling asleep, and is the deepest and most restorative of all the sleep stages. Because N3 sleep is so deep, it may be quite difficult to be awakened from. A sleeper roused during N3 may feel groggy and disoriented, and mental performance may be impaired for 30 minutes or longer. (13) Reduced cerebral blood flow explains the need for this recovery time, which is necessary to give the brain the opportunity to resume normal functions. During slow wave sleep, brain waves transition to high voltage, slow-wave activity known as delta waves. Eye movement during N1 remains nearly non-existent, and the body is immobile. It is more difficult to rouse someone in this phase of sleep, and most external disturbances pass unnoticed. Children may experience night disturbances and bedwetting during the N3 phase of sleep. (16) Parasomnias such as night terrors, sleep-eating, and sleepwalking also occur most commonly during this stage. Parasomnias may result from incomplete awakening during N3 sleep, which results in partial arousal of the autonomic nervous system leading to unusual activity. An unusually high amount of N3 sleep may occur during recovery from sleep deprivation, while reduced N3 sleep may result from the use of benzodiazepines such as Valium or tri-cyclic anti-depressants. The shift to REM sleep is unlike any other stage of the sleep cycle. Though REM sleep occurs at the end of each cycle, it is the lightest stage of sleep besides N1. This phase begins with a signal from the pons, an area at the base of the brain. The signal travels through the brain to the cerebral cortex, the outer layer of the brain responsible for processing thoughts and information. Dreams are thought to originate from this area of the brain. During NREM sleep, the mind is restful, while during REM sleep the mind is active and energized. On EEG, brain waves appear fast and desynchronized, similar to the state of being awake. In fact, REM is sometimes referred to as “paradoxical sleep” due to the similarities in functions with a waking brain. The REM phase lengthens with each consecutive cycle, with the final REM stage lasting approximately an hour. Although REM sleep is the most physiologically similar state to that of being awake, it is the furthest from wakefulness in terms of the sleep cycle. Only narcolepsy sufferers and babies are able to proceed directly from a wake state directly into REM sleep. 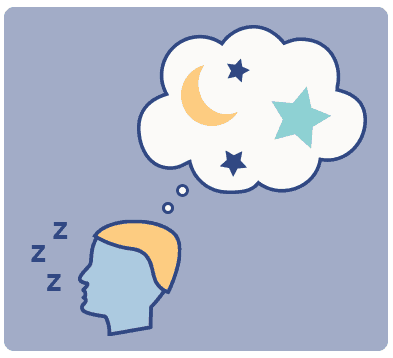 Typically, all the stages of NREM sleep must be passed through before REM sleep can occur. In addition, the amount of time spent in each stage may be dependent on when a person falls asleep. Those who go to bed and rise early spend more time in NREM sleep, which tends to be dominant between 11 pm and 3 am. Night owls spend more time in REM sleep, which is more prevalent between 3 am and 7 am. An inefficient sleep cycle can produce the same effects as sleep deprivation, including reduced concentration, poor hand-eye coordination, daytime sleepiness, and irritability. The amount of time spent in REM sleep tends to decrease with age. (23) While infants spend as much as 50% of sleep time in the REM stage, adults may spend closer to 20%. Sleep fragmentation also increases with age, though this may be due at least in part to medications used in the elderly to treat medical and psychiatric conditions. What Are Process S and Process C? Process S is driven by the accumulation of a chemical called adenosine in the brain, as well as depletion of glycogen. Adenosine inhibits many of the processes in the body that influence wakefulness. The molecule attaches to cells in the forebrain that control wakefulness and influence their activity. This area of the brain is particularly sensitive to the feeling of “sleep pressure” associated with Process S.
The homeostatic sleep drive of Process S is so strong that it is nearly impossible for a human being to remain awake for more than a few days. This appears to prevent extensive physical injury due to prolonged sleep deprivation. The restorative slow-wave sleep of N3 relieves the sense of sleep pressure characteristic of Process S. Other phases such as N1 and REM do not completely dispel the drive for sleep, underscoring the essential nature of N3 sleep. In addition to Process S, sleep is influenced by Process C, a component of the internal biological clock known as circadian rhythm. While Process S explains why we feel increasingly sleepy as time goes on, Process C explains why we feel sleepier at particular times of day. This process is controlled by the circadian clock, which regulates the urge to sleep according to light and darkness. While the homeostatic sleep drive of Process S increases throughout the day, it is balanced by the circadian drive to remain awake until nighttime, when the circadian clock switches from maintenance of an alert state to melatonin production in preparation for sleep. 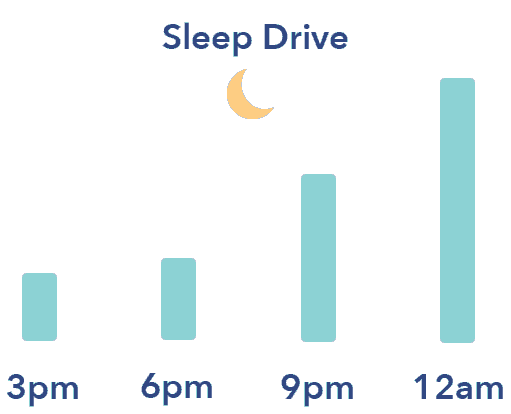 (25) As sleep continues through the night, the sleep drive of Process S diminishes, melatonin production decreases, and the circadian drive to awaken predominates, prompting a sleeper to wake up. 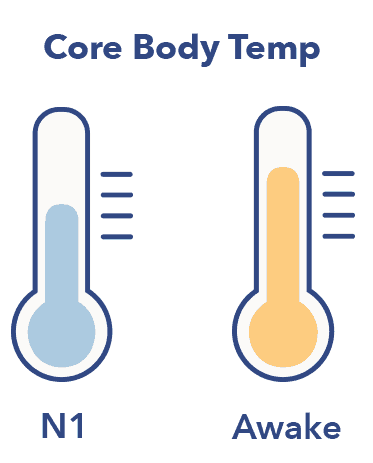 While Process S and Process C generally remain in balance, offsetting the need for sleep with the need to stay awake, sleep deprivation frequently tips the scales in favor of Process S, increasing the drive to sleep during times when remaining awake would normally prevail. When sleep is insufficient, however, the body becomes less sensitive to the changes in light that affect the circadian rhythm. (26) Sleep deprivation may lead to sleeping when wakefulness is usually predominant, such as late morning and afternoon. Sleep is a dynamic state that evolves as our bodies change over a lifetime. From toxin removal to memory consolidation to wound healing, the processes that occur during sleep are essential to the healthy functioning of the brain and body. Adequate, undisturbed sleep is frequently sacrificed to busy work schedules and family routines, but the increasing understanding of sleep’s importance may be changing how we prioritize rest and activity. 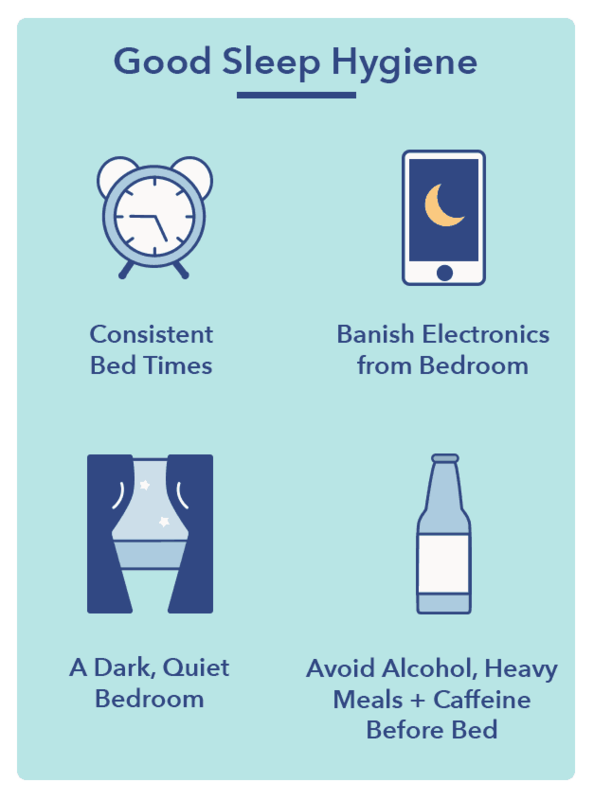 Healthier habits and sleep-promoting routines help the body utilize all four essential stages of sleep, to the benefit of long-term health.